During the opening for the Countdown to Craziness, the Duke University Blue Devil used the Aerial Marketing machine from Cloudvertise to launch a Floating Cloud. College basketball has a fan base that is eager to see the top teams compete. However, just when the most dedicated fans have seen it all, some special effects were added to create a remarkable experience. For such an iconic event, Duke University aims to exceed the expectations of its fans. The Cloudvertise team was hired to create a magical floating cloud moment for the Countdown to Craziness 2018. The Blue Devil mascot had a surprise for viewers of the event. Therefore, he crept onto the floor waving his pitch fork in a dark gymnasium that had a spotlight on Aerial Marketing machine. From the center of the basketball court, the Blue Devil used his pitch fork to release a large cloud-shaped “D” via the Aerial Marketing machine, and the crowd went crazy. Fans were amazed, and they cheered as the Floating Cloud soared toward the rooftop. Time-sensitive performances require a variety of elements to work in unison. After all, even the slightest mistakes could foil the essence of the presentation. By design, the Aerial Marketing machine is made to continuously form high-flying floating cloud images. However, the creative consulting team from Cloudvertise devised a way to perfectly time the launch of a single floating “D” for Duke University. To understand the complexity of this task, imagine lighting a grill without seeing smoke until the exact second that it is needed. The machine was primed and kept courtside until 47 seconds before the Duke Blue Devil appeared. At 32 seconds, the creative team members rolled the machine onto the court. Before a packed house, in a swift slice, the Duke Blue Devil carved the Floating Cloud from the Aerial Marketing machine and the “D” was sent airborne. After the Floating Cloud was released, the Duke University Basketball team appeared on the court, as Clouds of CO2 Smoke from CO2 Cryo Jets and Pyrotechnics were launched from our good friends at Pyrotecnico. Certainly, fans would have enjoyed the Countdown to Craziness without the floating cloud special effects introduction. But, why risk it, when the energy level from the fans went through the roof before the basketball players reached the floor? Taking a moment to give more than an audience expects is a great way to build loyalty and brand awareness. 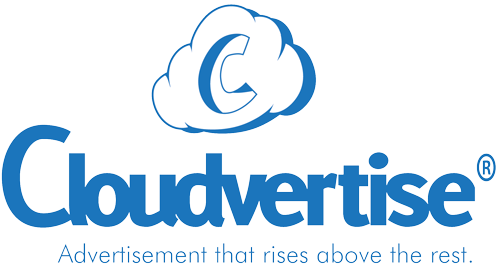 Contact Cloudvertise today to inquire about creative ways to engage with consumers via images, logos and aerial promotions.